Business Property Relief is a valuable Inheritance Tax (IHT) relief which can reduce tax due on business assets or shares in a business to nil. In order to qualify for relief, the business must not be wholly or mainly investment. For example, historically, there has been a distinction between the letting of residential property, which is considered to be investment and so does not qualify, and hotels and B&Bs which are considered to be trading and so generally qualify. HMRC are taking an increased interest in whether property backed businesses are eligible for business relief from IHT. In particular they are looking at the hospitality sector where the range of accommodation options has increased dramatically in recent years. 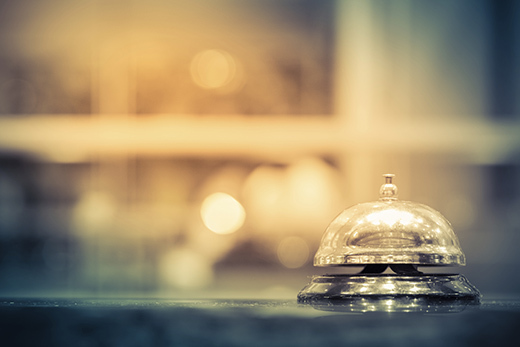 While a traditional full service hotel offering including a restaurant is still likely to qualify, HMRC are looking critically at reduced service offerings such as room only hotels, aparthotels, serviced apartments and holiday lettings. HMRC do take the view that the provision of food and drink is a key determinant of business status. The provision of housekeeping, cleaning and concierge activities are not necessarily sufficient to make a business eligible for relief. Any business that is looking to reduce the level of services by moving to self-catered options or by outsourcing the provision of food and beverages should consider carefully whether this might prejudice the relief from IHT. Business Property Relief may also be in doubt where the business consists of a mixture of different activities, some of which are investment. Most hotels should continue to qualify for relief from IHT but the consequences of losing this relief could be disastrous for a business if IHT was to be levied on death of an owner or major shareholder. If you would like to discuss whether your business would qualify for relief, please do not hesitate to contact us. We can provide detailed advice tailored to your circumstances and, if appropriate, we can ask HMRC to confirm that relief is due.